Robert J. “Bob” Williams, the son of Tim and Maud Williams, was born in Canutillo, Texas, on April 24, 1915. 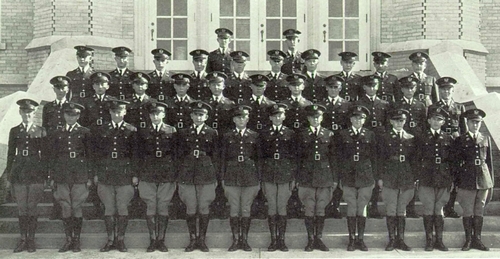 He studied and played baseball at the New Mexico Military Institute in Rosswell, before attending the New Mexico School of Mines in Socorro, for one year. Williams then went on to Texas A&M, where the left-handed hitting first baseman played varsity baseball for three years and captained the Aggies his senior year. Following graduation in 1939, the 24-year-old was signed by the Chicago White Sox and played his rookie year with the Class C East Texas League’s Longview White Sox, batting .223 in 71 games, while playing alongside former big leaguer Jack Radtke and futures big leaguers Eddie Lopat and Dave Short. In 1940, Williams joined the Elizabethton Betsy Red Sox of the Class D Appalachian League, appearing in 119 games and hitting 19 home runs for a .337 average. In 1941, he was with the El Paso Texans of the Class C Arizona-Texas League and played 128 games with five home runs and .337 average. In March of that year, he also married his sweetheart, Esthma Henson, whom he had met while thumbing a ride during his Texas A&M days. “That I picked him up, a hitchhiker, and married him sounds awful,” Esthma explained to the El Paso Herald-Post in July 1941. “You see, he was from Texas A&M, and they thumb rides around that part of the country in a perfectly legitimate way. 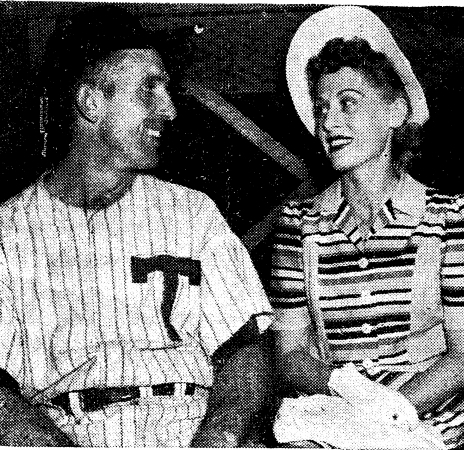 The Arizona-Texas League disbanded after the 1941 season and Williams did not pursue his baseball career after that. Instead, he worked for the U.S. Immigration Service until enlisting in the Army as an officer candidate in October 1942. Private Williams was stationed at Camp Roberts in central California, with the 88th Infantry Training Battalion, when he fell ill in January 1943. An exploratory operation at Letterman Hospital in San Francisco, failed to disclose the cause of the illness, and the 27-year-old was flown to William Beaumont General Hospital at Fort Bliss in El Paso, Texas, where he succumbed to the still unidentified illness on January 14, 1943. 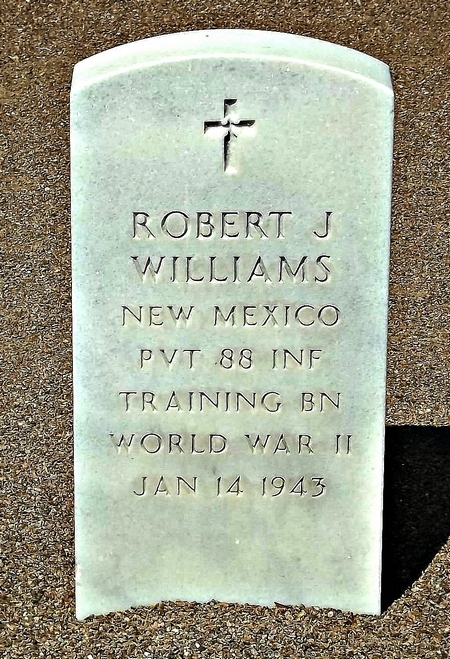 Robert Williams had funeral services at the Church of St. Clement on January 15, and was buried at Fort Bliss National Cemetery. Esthma, who passed away in October 1990, aged 76, is buried alongside her husband.